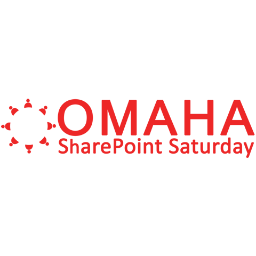 The 5th Annual SharePoint Saturday will be held on Saturday, April 22, 7:30 a.m.-5 p.m., in Mammel Hall on the University of Nebraska-Omaha Campus in Omaha. This is a free, community-focused SharePoint event dedicated to educating and engaging members of the local technical and user community. SharePoint Saturday draws upon the expertise of local SharePoint IT professionals, developers, users and solution architects who share experiences, lessons learned, best practices and general knowledge of SharePoint. 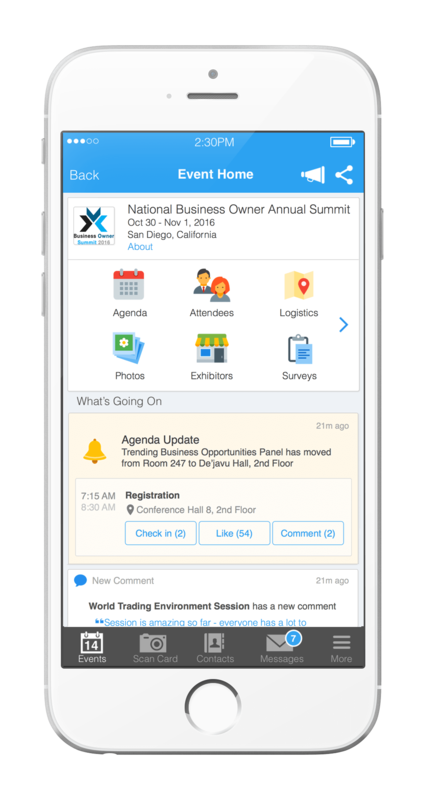 The event includes 25 sessions, a nationally known keynote speaker, and breakfast and lunch. Visit www.spsomaha.org for more information including registration or viewing the speakers, sessions and schedule. Bio: Amber Roberts has been with Gavilon nearly 10 years and recently moved from the Legal group to IT. As the SharePoint and Information Governance resource, she’s passionate about document control and using SharePoint as a basis to increase efficiency throughout the company. She’s currently in the middle of migrating Gavilon’s 2007 environment to 2013 as well as handling new design and builds utilizing out of the box SharePoint components and Nintex workflows and forms for the Intranet and Team sites. Amber leads the monthly Gavilon SharePoint User Group which has topics specific to Gavilon’s environment and its current priorities. She believes in training employees to become power users and loves when she “sees the light bulb go on” and users start to understand how powerful SharePoint can be when used properly. 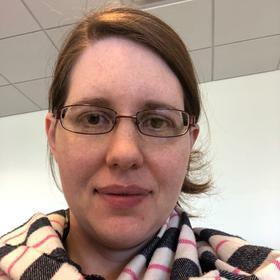 When not researching new SharePoint functionality Amber can be found reading, scrapbooking, watching movies or playing with her three kids (15, 5 and 10 months). Bio: I have been at LES for a little over 1 year. I have been in the IT/Technical field for around 8 years holding various job duties at companies like LES, Union Bank and Trust, and Automated Systems Inc. I believe SharePoint is a very value tool that has as much potential as one can think up. SharePoint can provide the very basic task of storing documents, to incorporating a 3rd party suite like Nintex to expand the use and efficiency even more. The training that I help provide at my current position is very rewarding when you see the 'aha' or 'light bulb' moments during discussions with other employees. Bio: Brian is a SharePoint MCSM who has been working with the SharePoint platform since 2007. He works with and manages a team of consultants that are specialists in Office 365 and SharePoint helping to build business solutions for clients. Brian's background in system architecture, security, migrations and integration strategies help provide holistic solutions with Avtex. Bio: Amber Roberts has been with Gavilon over 12 years and recently moved from the Legal group to IT in 2015. As the SharePoint and Information Governance resource, she’s passionate about document control and using SharePoint as a basis to increase efficiency throughout the company. She’s currently finalizing migrating Gavilon’s 2007 environment to 2013 as well as handling new design and builds utilizing out of the box SharePoint components and Nintex workflows and forms for the Intranet and Team sites. Amber leads the monthly Gavilon SharePoint User Group which has topics specific to Gavilon’s environment and its current priorities. She believes in training employees to become power users and loves when she “sees the light bulb go on” and users start to understand how powerful SharePoint can be when used properly. When not researching new SharePoint functionality Amber can be found reading, scrapbooking, watching movies or playing with her three kids (17, 7 and 2). Bio: David Petersen is a Senior Software Consultant, specializing in designing and developing business solutions. A frequent speaker at conferences and user group meetings, he has a passion for helping organizations maximize their investment in SharePoint. He started programming computers in 1979, and after an eight-year stint in the United States Marine Corps, has held positions in IT organizations from desktop support, to IT Director, to starting his own consulting company. He wrote his first web part in 2001 for (Tahoe Server) SharePoint Portal Server and he has specialized in building custom SharePoint solutions for the last several years. He co-authored a book for Apress entitled, Pro SharePoint Designer 2010. David is the Co-Leader of the Omaha SharePoint User Group and SharePoint Saturday – Omaha. For more information please visit http://www.omahaspug.org. David Petersen is a Senior Software Consultant, specializing in designing and developing business solutions. A frequent speaker at conferences and user group meetings, he has a passion for helping organizations maximize their investment in SharePoint. He started programming computers in 1979, and after an eight-year stint in the United States Marine Corps, has held positions in IT organizations from desktop support, to IT Director, to starting his own consulting company. He wrote his first web part in 2001 for (Tahoe Server) SharePoint Portal Server and he has specialized in building custom SharePoint solutions for the last several years. He co-authored a book for Apress entitled, Pro SharePoint Designer 2010. David is the Co-Leader of the Omaha SharePoint User Group and SharePoint Saturday – Omaha. For more information please visit http://www.omahaspug.org. Bio: Lead SharePoint Developer at Northern Natural Gas. A recent challenge is providing more support for SharePoint Administration. To conquer this challenge, I set out to learn and share tools for learning SharePoint Administration. Bio: Jonathan is a SharePoint consultant with over 15 years in the IT industry. He specializes in logic, process, workflows, testing, layout, and scripting. Bio: As a Technical Support Manager at Mutual of Omaha, PowerBI provides insights into the people, support requests and service levels related to our risk management platform to enable a cycle of continuous improvement. My areas of expertise include enterprise and business analysis, BI, business process management, information architecture, governance, taxonomy and user focused design with the objective of utilizing more of the SharePoint/O365 platform we already own with no-code solutions. Bio: Leonard Mwangi a Microsoft VTSP with over 12yrs of experience working on Business Intelligence platforms, SQL Server and SharePoint. He loves sharing his vast knowledge and experience with the community and help customers gain solid understanding of how to achieve their business goals through architecture and implementations. Bio: Mark is Partner and Chief Strategy Officer at PAIT Group and an Office 365 MVP with more than 20 years of experience designing and developing software solutions. Mark’s daily responsibilities include forging the direction of solution architecture and development projects for clients while providing the best solutions for clients' unique problems. 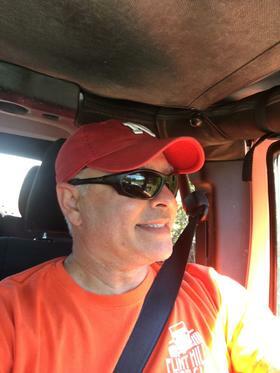 As a globally recognized SharePoint geek, Mark is an active blogger, presenter, author (and bacon aficionado) who is eager to lend his real-world knowledge of SharePoint to all who need it. In addition to speaking at various SharePoint conferences, Mark is the organizer of SharePointalooza in Branson, Missouri and can be found speaking at as many Saturday events as his professional and family life will allow. Mark engages his audiences with humor, real-world stories from the trenches, and practical solutions. Bio: Partner, Senior Business Solutions Consultant, Client Engagement Executive and Customer Experience Executive. Strategic and Innovative Business and Information Technology Professional. Leading and delivering Business Innovation through Digital Transformation, DEVOPS, and Disruptive Technologies. Specializing in the application of contemporary technologies to solve complex business problems. Bio: Max is an Office 365 and Azure Active Directory Consultant who focuses on improving collaboration and simplifying implementation. He has worked with Office 365 and SharePoint for the past 5 years. He is a self-proclaimed geek, passionate about a broad range of messaging and collaboration tools and can't stop talking about the technology he loves. Bio: But have been working with SharePoint since 2011. Bio: Paul is a Solution Principal at Slalom Consulting, New York. I've been working with SharePoint since 2007 and thus, escaped SPS. I was a SharePoint MVP for four years, write a lot and tinker with my little github projects (github.com/pagalvin). Bio: Ryan works on the product team at Metalogix focusing in the areas of enterprise content management, security, and information governance. Ryan comes from a background of eleven years in IT, the most recent being a focus on SharePoint from a development and content management background. Bio: Scott Restivo has worked in the IT industry for over 25 years. He is a certified systems engineer, with CNE, MCSE, and CCNA designations. During the 1990’s, Scott consulted for the military, established corporations, and startups on networking and business process projects. In 1999, he founded Crow Canyon Systems, Inc., and has headed it as CEO since then. Since its founding, the company has grown to a worldwide presence, providing a global customer base with a multitude of business process projects, support/service applications, and custom development based on the Microsoft platforms, particularly SharePoint, Office 365, Exchange, Outlook, and Azure. Bio: Sharon Weaver is a SharePoint and Process Improvement consultant with KC Tech Group. Sharon's background in Business Analysis and Project Management combined with her Developmental Psychology degree and Six Sigma Black Belt blend perfectly with her love of helping and training people to make her a well-rounded consultant. Sharon has the ability to understand her client's pain points and develop a plan to not only build the needed solutions, but to drive adoption and education in a way not typically seen from technical consultants. Sharon also teaches SharePoint, Business Analysis, and other continuing education courses at JCCC and SLU as an adjunct instructor. When she's not working, Sharon is likely reading self-improvement books or on a cruise out of the country with no access to communication. Bio: Original educated in software design and database integration and performance tuning. Have been working with SharePoint since 2011. I am the developer lead at SurfRay for the automation/integration tool “Ontolica Fusion”. Bio: Todd Bleeker is an industry leader in Microsoft-centric software, specializing in Enterprise Content Management (ECM), specifically extending business functionality in Office 365 (including SharePoint Online and on-premises too). In 2004, Todd co-founded Mindsharp, the industry leading SharePoint education company, and lead it alongside Bill English for over a decade. Todd is recognized by Microsoft as an innovative thought leader; Todd was decorated as a Microsoft MVP for over a dozen years, routinely collaborating directly with the SharePoint product team at Microsoft. At RSM, an international tax, audit, and consulting firm, Todd is applying his ECM experience to innovate business solutions for clients of all sizes, from all industries. Todd earned a BS degree in Management Information Systems from Iowa State and an MBA and Ph.D. in business from Ohio State. Having authored seven books and four curricula about Microsoft's integrated suite of productivity products, Todd is a frequent speaker at key conferences the world over. He founded and currently leads the Office 365 Microsoft Online User Group (http://msoug.com); join us the third Thursday of every month to explore all things Office 365. Bio: Mr. Negri joined Intlock in March 2010 and since then has been heading the company’s activities in North America and Latin America. Prior to joining Intlock, Mr. Negri was part of an elite academic program at the Israeli Ministry of Defense. As part of this program Mr Negri studied international economics, marketing, and logistics (B.Sc). Following his studies, Mr Negri served in several Ministry of Defense positions as Director of planning and logistics. Mr. Negri brings with him vast experience of international macroeconomics, development of new markets, management know-how, team leadership, and drive. 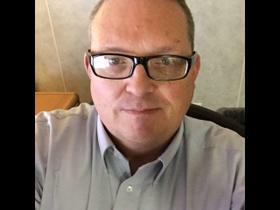 Bio: Bill is a SharePoint administrator and developer at Lincoln Electric System. He primarily works with SharePoint 2013 now; will decommission 2007 and 2010 environments during 2017; and is beginning to work with Office 365 and SharePoint Online. He has migrated content between environments and works with several third-party tools. Bill has presented at SharePoint Saturday and SharePoint User Group meetings and serves on the SPS-Omaha Planning Committee.